It’s hard to find a spot in East London that isn’t either deserted or rammed full of people. With Shoreditch one side, and Central London just 15 minutes away, we often find it hard to go to a spot which has the atmosphere we’re looking for. East is known for its big parties, clubs and bars… But if you want a quiet drink and some good food it’s not as easy to spot as you may think. In comes the Morgan Arms. 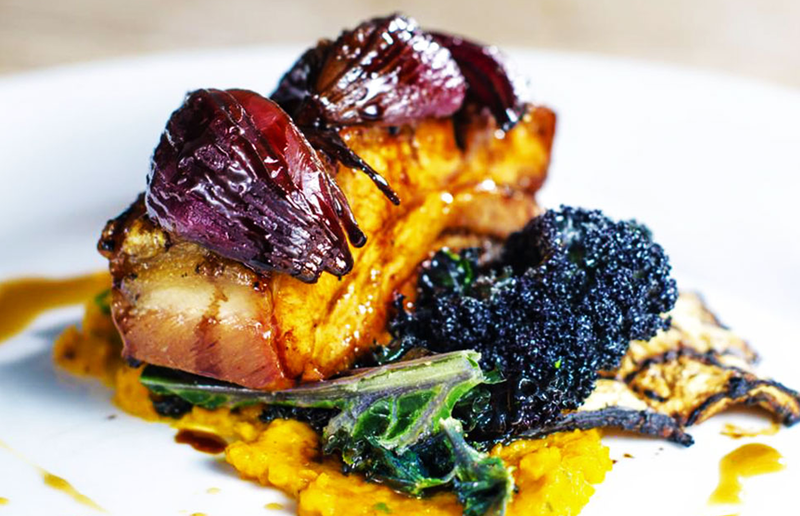 A classy East London pub with home cooked food, fine wine and real ales. Positioned bang in the middle between Mile End and Bow Road Tube Stations as well as Bow Church DLR, it’s easy to stop by. 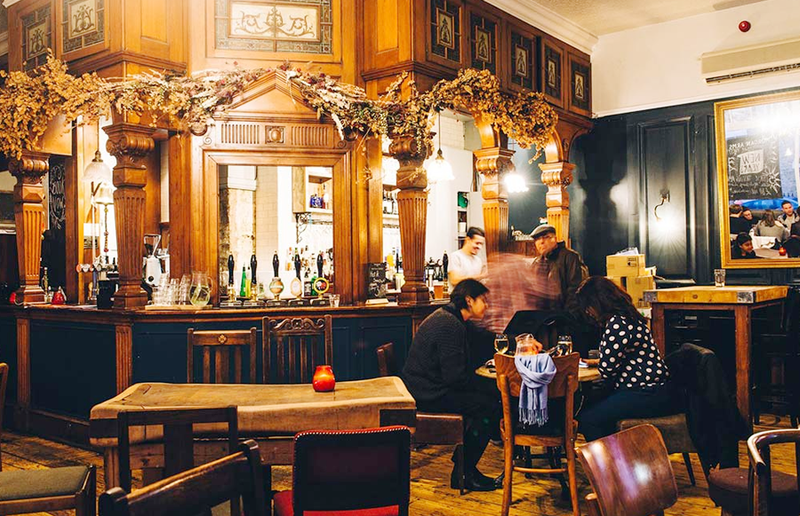 The pub dates back to the late nineteenth century, and there’s a few aesthetic nods to its past inside, with gorgeous wooden features and paintings. Situated on the corner of 43 Morgan Street, the pub is beautifully dressed, with traditional and vintage wooden surfaces covering the inside, with outdoor seating and a smoking area round the front. At the side of the pub is also a conservatory-style garden area with tables and chairs and al fresco decking. There’s ample room for a Sunday lunch too, with the options of Angus Beef or Pork Belly with a plate of sides which include roast potatoes, parsnips, carrots, butternut squash puree, spring greens, beetroot, yorkshire pudding and red wine jus, all for £16 a head. They also offer changing seasonal menus for the rest of the week, with steaks, burgers, pasta and fish dishes all on the board. Because of its location, the pub also stays relatively quiet. Tucked behind the side streets of Mile End and Bow, it’s a hidden gem, and worth checking out if you’re visit Victoria Park or even the Olympic Park. You’ll have the freedom to stretch out a bit more… and also enjoy the quieter, calmer surroundings. 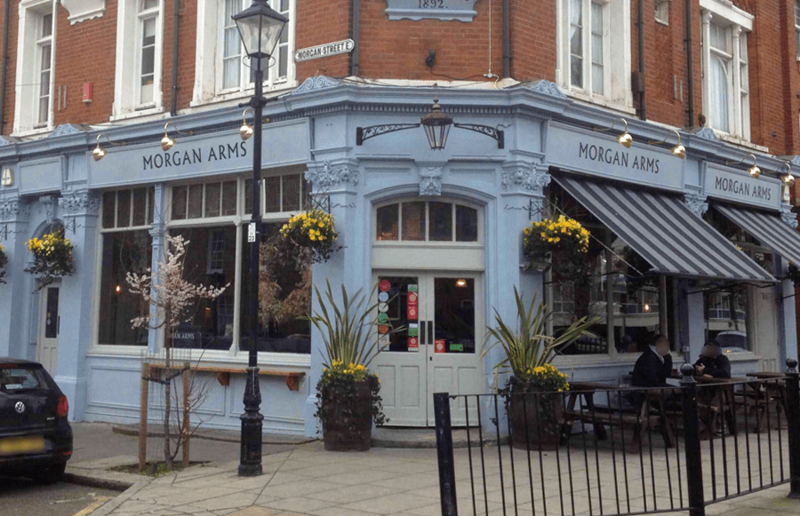 Take a visit to The Morgan Arms at 43 Morgan Street, Bow, London, E3 5AA.